RetroN 5 – Coming Soon or The Phantom Console? Hyperkin has spoken on the state of the RetroN 5. In a video posted to the company’s Facebook page today, Product Developer Chris Gallizzi reassures the teaming masses that yes, the RetroN 5 is real, and it will be releasing. The exact date still remains a mystery. As stated in my original post (below), it looks like Hyperkin is simply facing a tremendous surge in demand for the RetroN 5. Gallizzi mentions that he’s just returned from China, no doubt meeting with suppliers to renegotiate contracts and up production orders. So ratchet down those nasty Facebook comments, retro gaming fans. 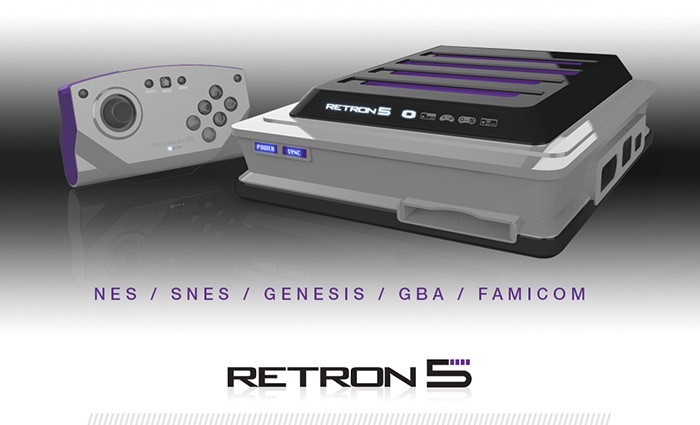 Your RetroN 5s may very well be coming soon. Well, it’s the end of April and still no RetroN 5. The long in production, repeatedly delayed retro gaming dream console remains just that– a dream. The RetroN 5 is vaporware. It’s never worked and Hyperkin is scrambling to piece it together. The console dumps game cart ROMs to internal storage and plays in an emulated state. RetroN 5’s operating system runs on a bastardized version of Android. Hyperkin does not possess the supply chain pipeline to produce at a retail product level. Hyperkin’s margin is not high enough to sustain the product. Hyperkin company leaders have realized that demand is far greater than anticipated and are looking to increase pricing, limit distribution to build buzz. No one at Hyperkin has any idea how to conduct product marketing. So what’s going on? The lack of clear and consistent communication from the manufacturer makes it tough to tell. What we do know is that Hyperkin has been touting the RetroN 5 around at a number of gaming conventions across the U.S., and the company recently offered up a RetroN 5 console for a charity auction (check it out here –http://www.gamegavel.com/item.cgi?show_item=935501). Despite their bumpy track record in meeting deadlines, it’s hard to believe the company would be so clumsy as to engage in charity fundraising without having an actual working product. The more likely scenario is not that Hyperkin has hooked retro gamers with some elaborate scam, but rather that the demand for the RetroN 5 has far outpaced the manufacturer’s initial estimates. Features like HDMI connectivity, PAL and NTSC compatibility, in-system save states, graphic filters, and cartridge compatibility with 10 classic gaming systems, it’s clear this release eclipses any of the company’s previous efforts. This entry was posted in Games, Technology and tagged famicom, gameboy, gba, gbc, genesis, hyperkin, master system, mega drive, megadrive, nes, retro gaming, retron, retron 5, retron 5 delay, retron 5 release date, sega, snes, video games. Bookmark the permalink.